In March 1911, newspaper editor Arthur Brisbane reportedly told the Syracuse Advertising Men's Club: "Use a picture. It's worth a thousand words." Advance one hundred years and the advice advances a thousand-fold. We live in a world where 3-D printing is becoming cheaper and more commonplace. 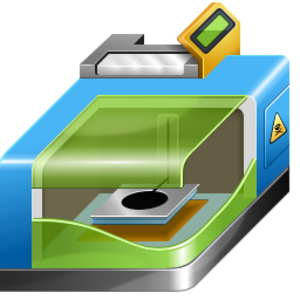 In short, a three dimensional computer model sends information to a 3-D printer, building an object out of metal, plastic, or other materials from the ground up. There are many recreational and industrial uses for the process, such as creating pieces to enable Lego to connect to Tinkertoys. But, there are also uses for victims of personal injuries. Let's say you slip, fall, and break a bone. Sure, you could show the x-rays to a jury. But what if you could take those x-rays and make a replica of the broken bone? The increased impact is a thousand-fold. Let's say there's a concern that a surgeon did X when she should have done Y to remove a tumor. Only the surgeon in the operating room saw the tumor. But what if you could take the pre-surgery MRI and make a replica of the tumor and its surrounds to show how there was another, better, surgical option? Let's say the physical layout of a building is important to understand where people were located, or where a defect existed, or how a fire spread, or how water runoff caused damage. You could use pictures, a video, architectural renderings, or just talk about it. But what if you could take a video of the building and make a scaled down replica? There are many circumstances such as these when it might be appropriate to the prosecution of a personal injury claim for a 3D model to be made. It won't always be known, however, at the outset. This is why planning and foresight are crucial. If going for a medical imaging study, ask for the raw, high quality, unedited DICOM file and bring a blank DVD with you; or, if you went already, ask the medical staff for the DICOM file as is, not just a copy of the radiology report. Take lots of pictures and video from all angles of the scene of an injury, the machine/device that injured you, and damage to object (e.g. vehicle damage), if you do not otherwise need emergency medical care. If you do require emergency care, ask someone for help capturing the images. Most cases won't likely require the building of a 3-D model, but experienced personal injury counsel can work with you and help you decide whether such a model can or should be made.